We know that providing a complete logistics service from origin to destination is extremely important to our clients. Saavanna can arrange road transport within USA and other Countries and ensure the same outstanding levels of customer service are applied. Irrespective of the volume, our service commitment remains the same. We supply our customers with very competitive rates for various kinds of land shipments whether Full trucks or partial shipments. Saavanna can cover all major cities handling whatever equipped vehicle like Trailer, box truck, Jumbo Truck, Tanker, RORO, Low bed Trailer and Flat..etc. Saavanna Shipping strives to deliver the best in high-value, low-priced service. We are a freight forwarding company that provides door-to-door service from/to any place in the world. 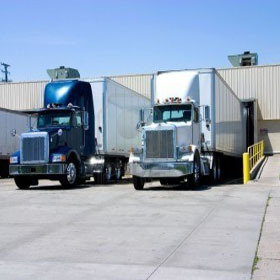 We are a group of a professional family who will work hard to deliver your cargo without any slackness. In addition to all related services like packing/wrapping using suitable standard packaging equipment.